blows. They are attempting to please everyone and so will compromise themselves so as not to upset people . And you do not know where you stand with a fence sitter as you have no idea which way they will turn. ''I know your works;you are neither cold nor hot.Would that you were cold or hot.So because you are lukewarm,and neither cold nor hot,I will spew you out of my mouth'' Revelations 3;15-16. In all situations there is a need for a decision one way or the other.God hates fence sitters.And,yes there is no place for them in heaven. You talking indecisiveness like there is no time in life when people can be between the devil and the deep blue sea. 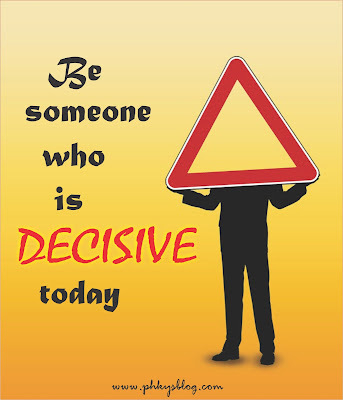 One thing that's sacrosanct; indecision is bad, choice will make or mar.